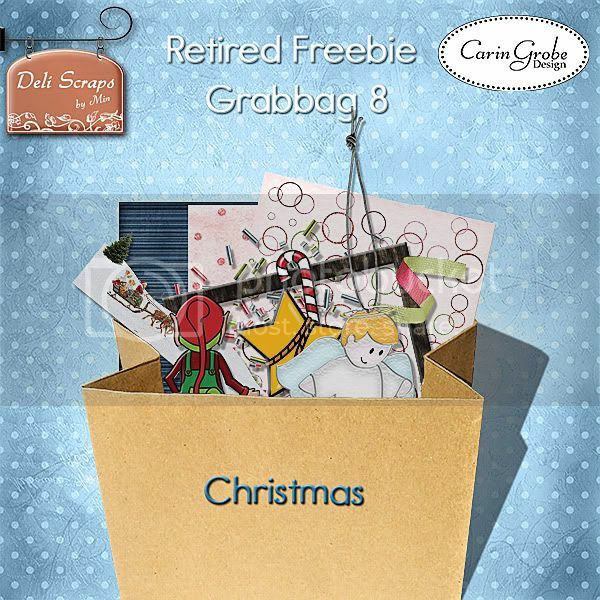 My chosen carol this year is “Frosty the snowman” – maybe because I’m cold almost all the time during Winter and my husband loves to tease me by calling me “Frosty” (according to him I somehow manage to get my hand, feet and nose below room temperature, lol). 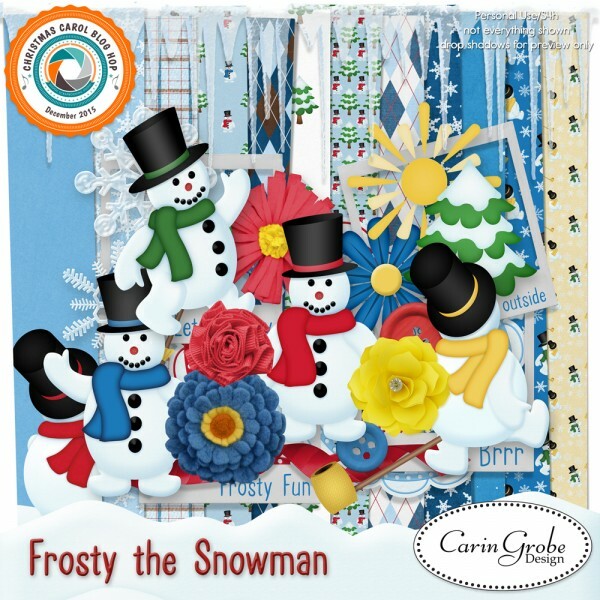 I had a lot of fun drawing the different snowmen and creating a kit around them, although my hot beverage consumption did rise considerably while I was playing in the snow, even it it was only digital snow ;D. Hope you will like the result, there are 14 papers and 30 elements in the downloads, make sure you get both parts. Here’s a peek at the kit (it will be available here until Jan 2nd) – the download links are below the preview. Enjoy – and have a very merry Christmas and a wonderful new year!!! 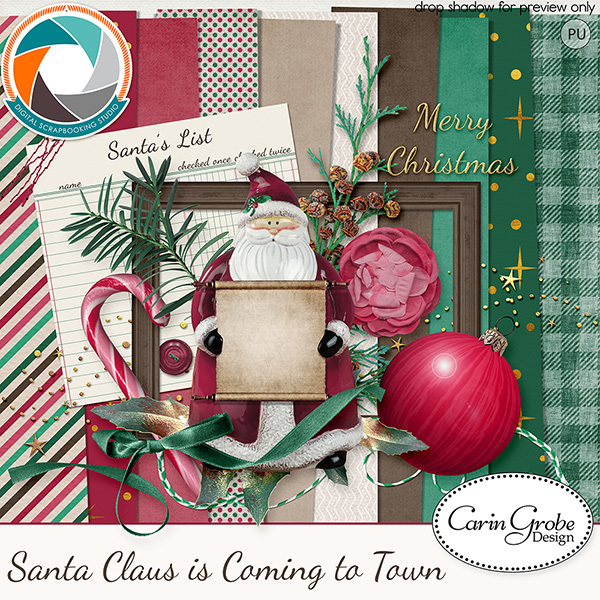 I’m sorry, the download links have expired, but you can find the kit here in my store at Digital Scrapbooking Studio. Wow, 2013 is almost over, Christmas is approaching fast… and that also means: It is time for theStudio’s annual Christmas carol blog hop! Woohooo!! Picking a carol is by no means an easy task, lol….while I was pondering the options this year, I realized that there seem to be so many carols with snow and cold in them, even so half the world will probably be celebrating Christmas with nice warm weather and sunshine. Soooo, I asked Robyn to recommend a carol from “down under”, so I could have some Summer feeling while creating (well, at least for as long as I would not look out of the window…lol). “Six white boomers” proved to be an instant hit with my family, we have all caught one another humming the tune for more than once. If you’re not familiar with this song about Santa helping a lost baby kangaroo you could listen to it here on youtube. 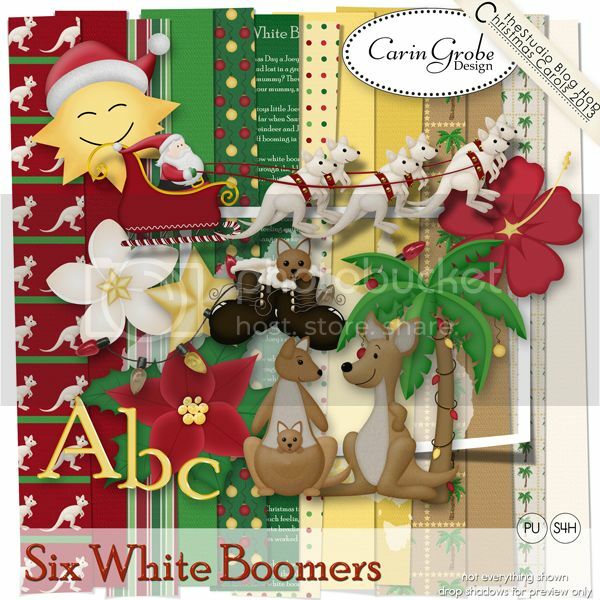 And here’s now a look at my interpretation of the six white boomers ;D – make sure you get all three downloads! 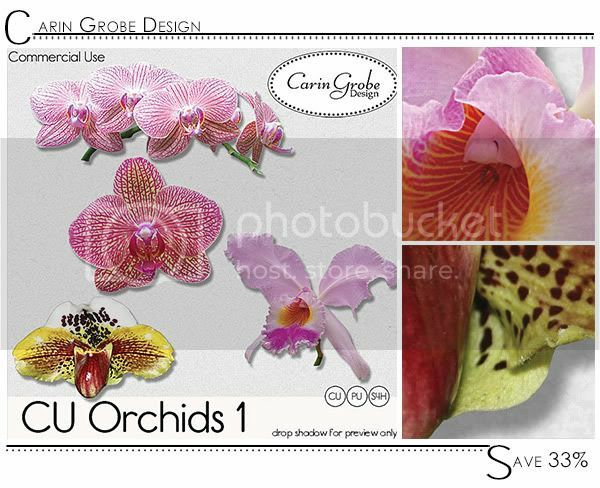 Carin Grobe Design: https://www.caringrobedesign.com/blog/ <— you are here! Remember we are living all over the world in different time zones, so please, be patient if a post should not be up yet and check back again later! Have a fantastic Holiday Season and a wonderful year 2014!!! While cleaning up on my computer I found two things I wanted to put into my store before Christmas … but with everything going on I just forgot about them :blush:. 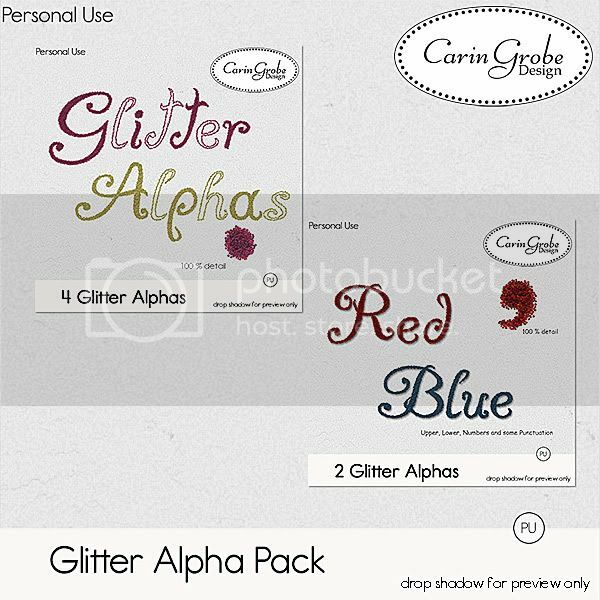 Here they are now a Christmas Grabbag and some Glitter Alphas – better late than never, lol. All the best wishes to you and yours for a happy, healthy and overall wonderful year 2013! The colors are a little bit more “modern” although the traditional red, green and gold are there, as well. The kit is filled with gorgeous realistic elements, lots of sparkle and glitter and for the Nativity Add-on my focus was on the textures – wood, sand, linen, velvet, sparkly jewels, straw, different fur for the camel and the donkey and wool for the sheep. And because it’s (almost) Christmas I’m offering them for a great price – instead of my ususal introductory price of 33 % off, you may pick up the kit or the add-on for 50 % off. Or take the bundle for 60 % off! 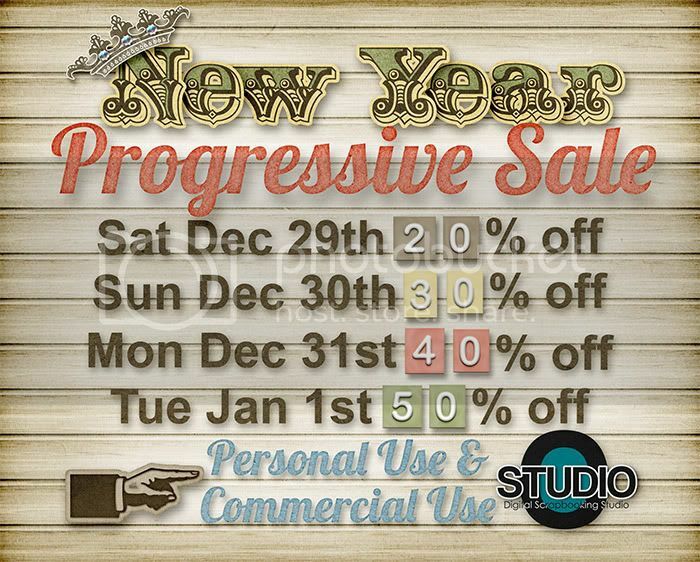 But don’t wait too long – these sales are only good until Christmas!!! Have a wonderful, blessed and merry Christmas, stay safe and have lots of fun! Don’t forget to take pictures to scrap them later, lol!